“Hi!” “Hello, How are you?” These simple words were said to me everywhere I turned. This was my introduction to the South. After spending my adult life in major cities, I flinched wondering what these locals might want from me, forgetting that friendliness is a common practice here. A man out walking his dog at night surprised with a pleasant Hello, while even the local street worker acknowledged me. 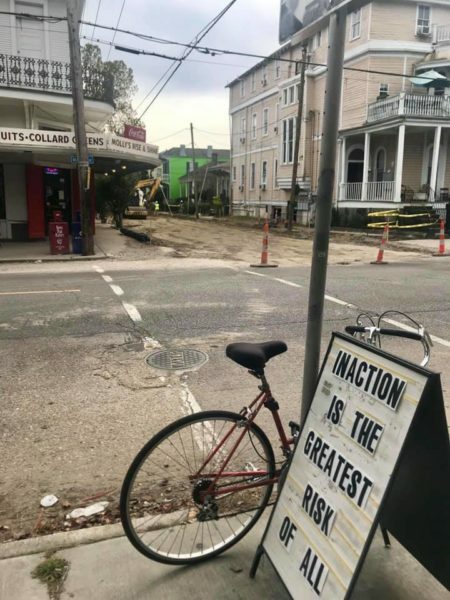 The best way to travel and experience New Orleans is not only to have a tentative plan but to walk around and get lost in the neighborhoods, although riding in Uber also offers a stark reality and real tales from the locals of how Hurricane Katrina has altered lives since 2005. As a first timer in “The Big Easy,” start your exploration in the touristy lively grid of the French Quarter and then make time for the Garden District. Born in the late 19thcentury, the lifeblood of the Crescent City is jazz, derived from the merging of European marching-band music and African rhythms. “Jazz Fest” celebrates its 50thanniversary this year. To mark the historic milestone, the festival where hundreds of musicians perform on 12 stages has added an extra day to the lineup, making April 25 Opening Day. Also, the Louis Armstrong New Orleans International Airport is on track to open in May of 2019. The new 972,000 square foot facility will replace the current facility. Remember, you are in one of the nation’s best food destinations, so be ready to expand your waistline and explore the diverse culinary landscape – history’s amalgamation of French, Cajun, Creole, Vietnamese, Mexican, Italian, Southern, Caribbean, West African, German, and beyond. You will soon realize why New Orleans is the most culturally unique part of America. The music made me float into a different era. For $20 you can listen to jazz on a bench in this premier traditional jazz club. 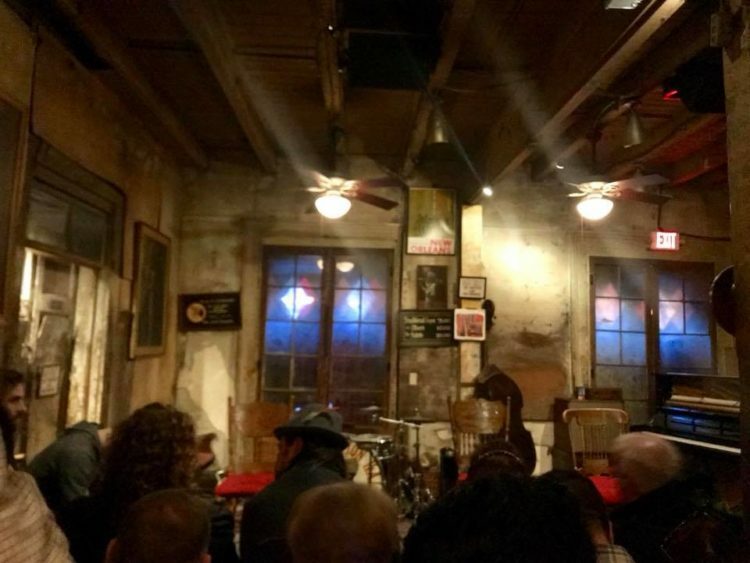 Founded in 1961, the musical venue’s goal is to preserve, protect, and perpetuate traditional New Orleans Jazz. Many players who passionately belt out tunes on trombone, saxophone, and drums are related by blood to the original masters and they learned the traditional style of the greats who played before them. Shows occur every hour starting at 5 pm and no phones are allowed. Get in a line in advance to purchase a ticket to savor the tunes of soulful jazz in this intimate setting. Families are welcome as one couple stood in back with their newborn baby napping to the jazzy beat. 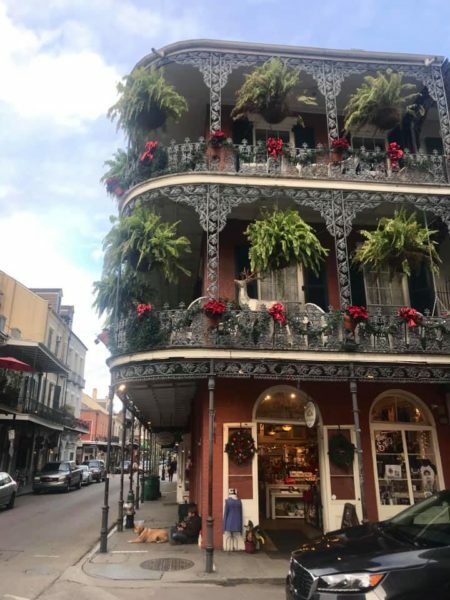 Meander the streets, especially at nighttime in December when elegant wreaths, lights, and garland don Creole cottages, historic mansions, hotel lobbies, and French Quarter balconies. 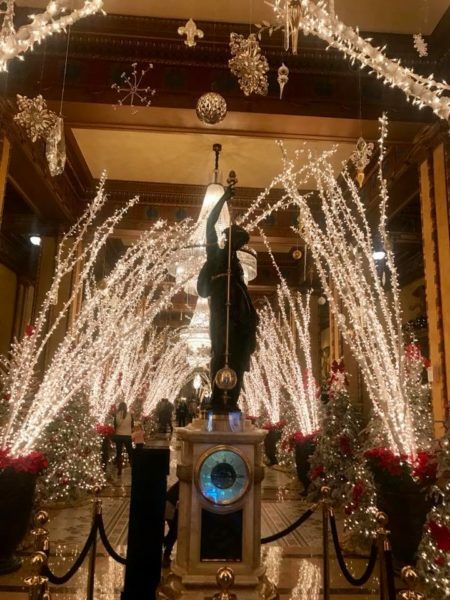 The Royal Sonesta, the Roosevelt, the Monteleone, and the Ritz-Carlton bring a festive enchanting Christmas spirit to their hotel lobbies. 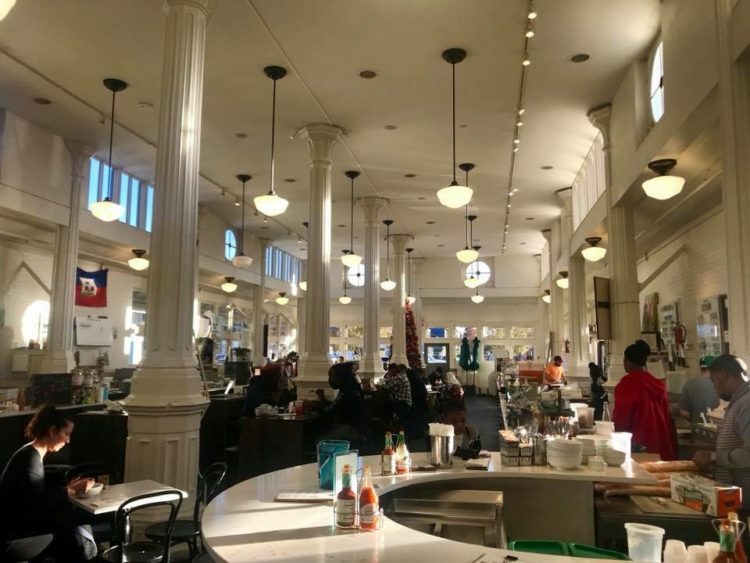 Pop inside the St Louis Cathedral at Jackson Square and rest your legs for some beignets and coffee at nearby Café Du Monde. Although no trip is complete without a walk down raucous Bourbon Street, spend time checking out free live music along Frenchman Street too. Learn about the origin of the pharmacy, the medicine once used, and what was deemed healthcare back in the day. 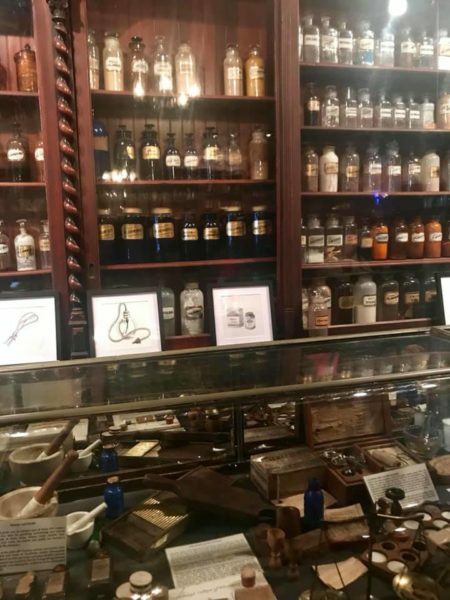 This recreated 19thcentury Pharmacia was the first official licensed medical pharmacy in our country that opened as a museum in 1950. Pay $5 to hear a fascinating spiel about the intriguing history, curiosities, and wonders of “medicine” as well as the way people healed themselves or made themselves “pretty” in the not too distant past. Butterfly wings of blue or beeswax on the face, gold pills pooped out and reused and passed down, cocaine and heroin mixed with a little soda as the soda machine – often a family affair! Since the New Orleans folk thought the city was cursed due to yellow fever and thousands of deaths, people were willing to try anything, such as bloodletting and mercury injections. This curated space has original ingredients. Since many people couldn’t read, the show globes with various liquid colors in the front window alerted people of sickness – red meaning disease was rampant and that many people were dying. Perhaps in a 100 years may think we are crazy for the treatments we endured. Many free voodoo walking tours exist that can be found online, and there’s no substitute for learning from an expert. Our guide was a “witch” who passionately shared lengthy details about the history of voodooism in this spiritual melting pot. 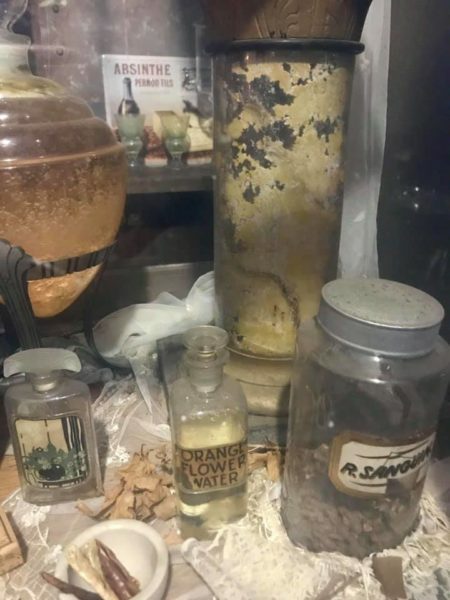 Learn about the rituals conducted right in New Orleans and see where Voodoo Priestess Marie Laveau once lived before ending at a shop filled with gris-gris bags, oils, and more gifts blessed in-house by a voodoo practitioner touting protection from evil and aides for fertility, jealousy and everything you can imagine. Tips are expected at the end of the tour. Walk up Magazine Street lined with cute vintage and antique shops, restaurants and bars, and historic Creole homes. Meander in and out of the charming neighborhoods to admire the various architectural styles of the homes of the rich and famous that sit amongst ancient oak trees. Settled in the 19thcentury by wealthy Anglo-Saxons, the Garden District is filled with stunning Greek Revival, Second Empire, and Italianate mansions. For some Louisiana Haute Creole fare or Jazz Brunch, enjoy southern hospitality at James Beard award-winning Commander’s Palace, a culinary legend and landmark. 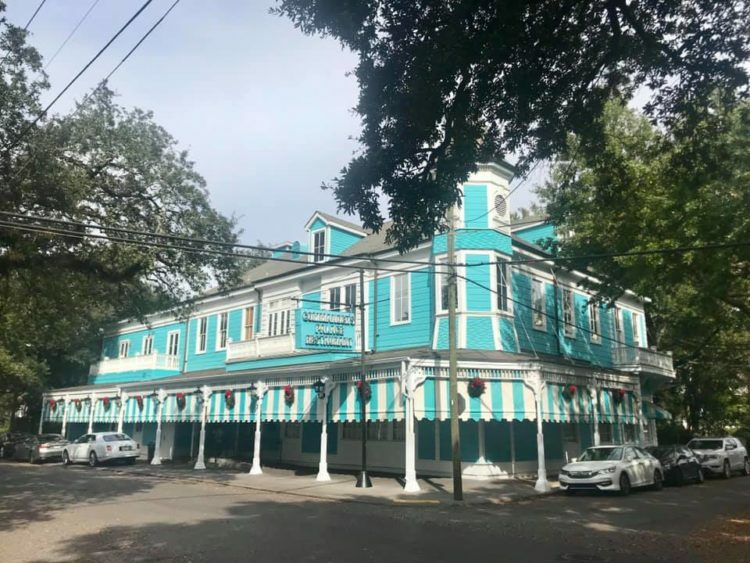 Housed in a turquoise and white Victorian run by the Brennan family, it has been drawing crowds since 1880. 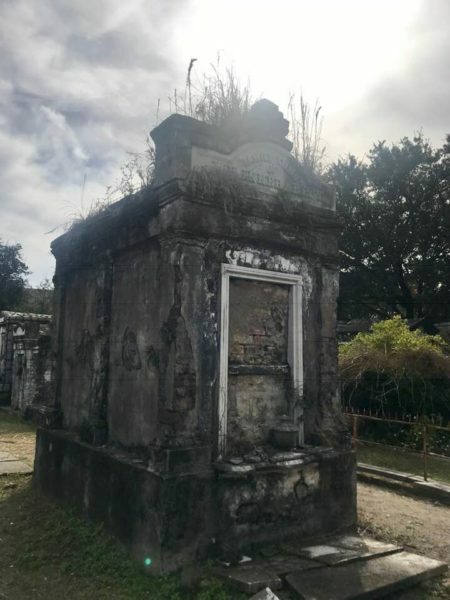 New Orleans past can be felt through its tombstones – many above ground family tombs in disrepair tell a story. The Cemetery Lafayette #1 is a place filled with stories – of German and Irish immigrants, deaths by yellow fever, “Woodmen of the world,” orphan boys, four friends buried side by side, a fireman’s tomb, social societies doing right by their dead – that pulls the living into the city’s long-troubled past. St. Louis No. 1, just outside the French Quarter, is the city’s oldest cemetery, while Lafayette No. 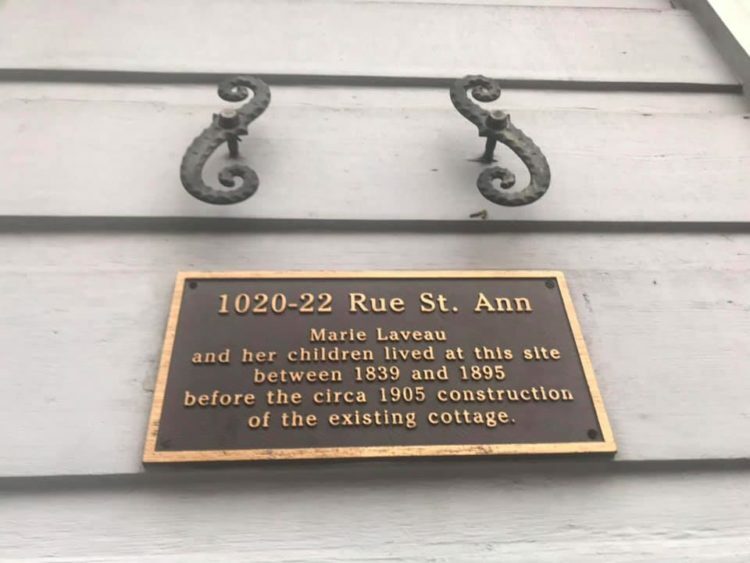 1 in the Garden District draws fans of vampire novelist Anne Rice, who set a number of her works here. Founded in 1833, this place was on the National Register of Historic Places in 1972. This is not where the voodoo priestess or the new Nicolas Cage tombstone is located. 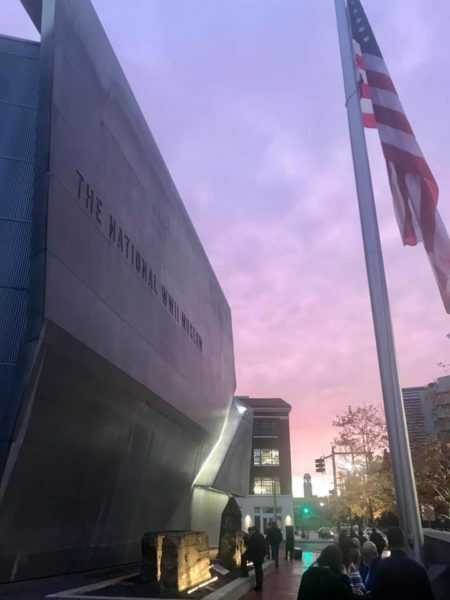 Take a walk and see what you can learn about the past. 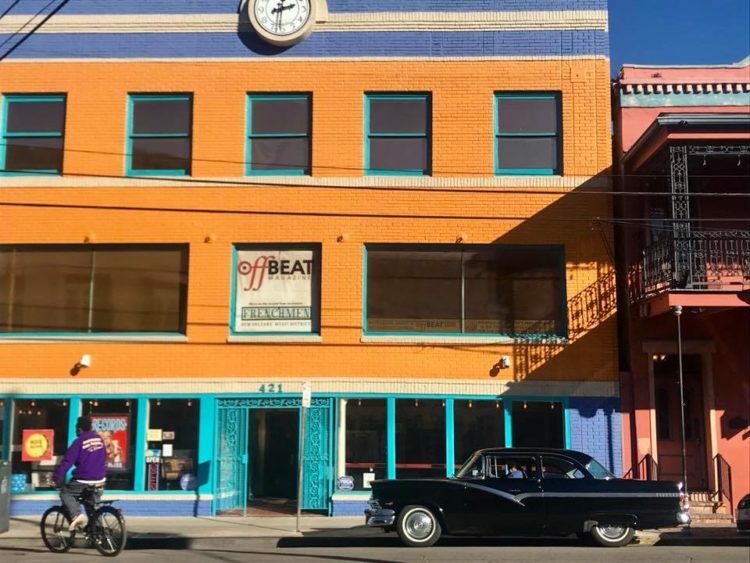 Consistently ranked among the world’s top food cities, New Orleans boasts over 1,400 restaurants, providing a place where food is religion and the quirkiest neighborhood joint is as beloved as the historic white linen restaurant. Some of America’s most celebrated dishes and drinks were born here like the fruity rum-based Hurricane (shaped like a hurricane lamp) at Pat O Brien’s and Bananas Foster at Brennan’s, while some culinary mistakes stuck too. For example, the chef who came to Commander’s Palace with a big bag of Cajun and Creole spices and blackened the redfish by accident, turning the dish into a staple. Or the existing daiquiri culture, once a fluke from an owner in 1979 wanting to get rid of a tequila sunrise mix they couldn’t sell, became a college favorite. 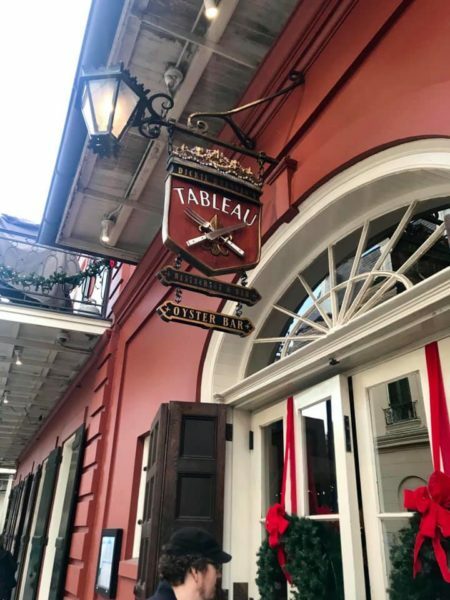 This 4-hour walking food and drink tour is the perfect way for a first timer to explore the French Quarter and try tasty bites and drinks while learning the stories behind New Orleans cuisine. Highlights included alligator sausage boudin and gumbo at Red Fish Grill, a slushy Pimm’s Cup at St. Lawrence, and a Sazerac and Cuban style mojito at classy moody Cane and Table cocktail bar. The Sazerac (named for the signature cognac brandy used as the main ingredient) is the official cocktail of New Orleans by the Louisiana Legislature in 2008 but was first poured in the French Quarter in 1838. Just another couple were my companions for the day as the expert guide toured us through various establishments for drinks and bites like Leah’s Pralines for pecan brittle, a hot sauce store, and elegant Tableau where we sipped on a bubbly Tableau French 75 and snacked on charcuterie with yucca chips and okra with pecan pesto. 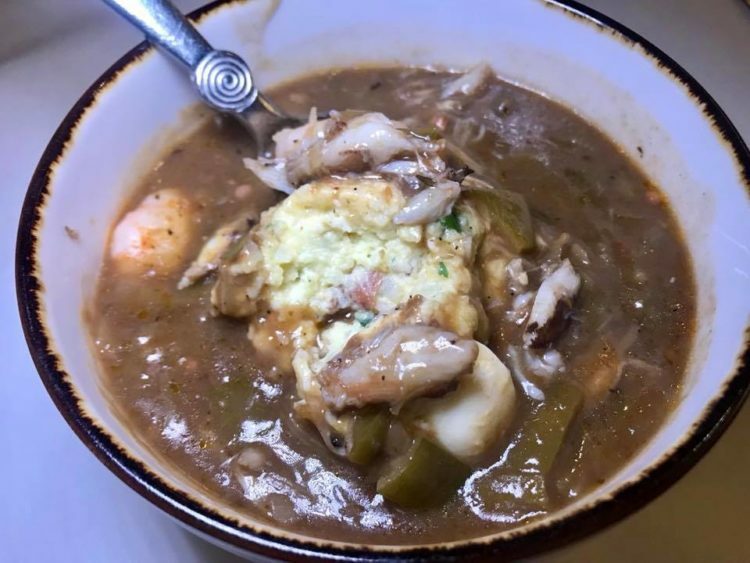 This down-home cozy local joint has been pleasing customers with soul food and Creole dishes since 1938. 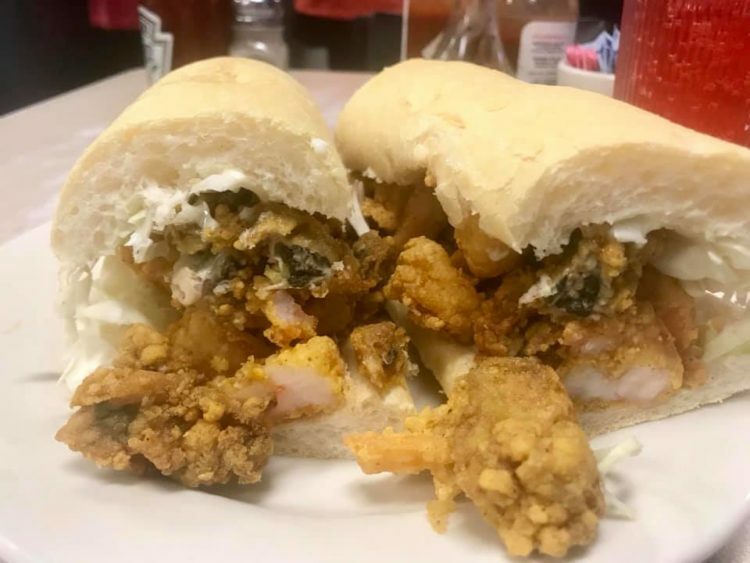 Experience a large fried oyster and shrimp Po’boy, enough for two meals. 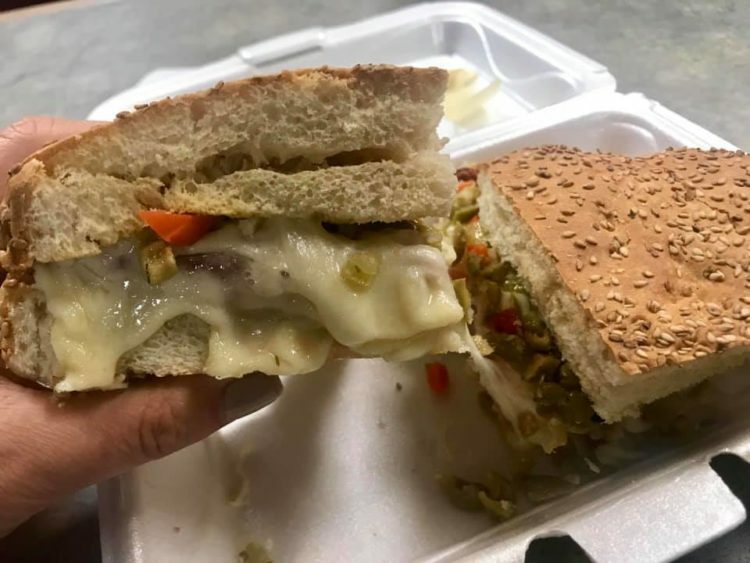 Some say Central Grocery invented or perfected the muffaletta here at this old-fashioned Italian deli. The city’s circular classic Sicilian deli sesame bread sandwich is layered with Italian meats and cheese originating from Italian immigrants. I picked one up warm at Nola PoBoys too. 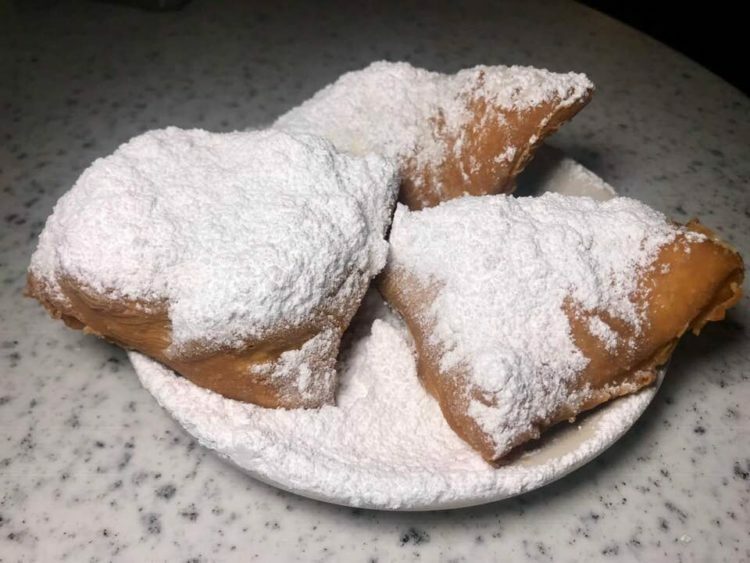 At Decataur Street, rest your legs by grabbing a table for some fresh-fried beignets doused in powdered sugar with a café au lait or hot chocolate. Since 1862 tourists have flocked to this open-air café. At Musical Legends Park, this is another great spot to take a break outside over powdered beignets and a coffee while listening to live jazz. At this Bourbon Street location, sit amongst life-size bronze statues in the outdoor courtyard patio giving you all the European feels. In the Bywater, this cute tightly-packed wine shop has a full bar upstairs with bistro fare. Hang in the neighborly backyard space sipping vino over live music. Bacchanal is definitely an Uber ride away from the major spots, but early evening seems ideal to find a spot to uncork your own wine and share smoked catfish dip, sardines, and gulf shrimp. 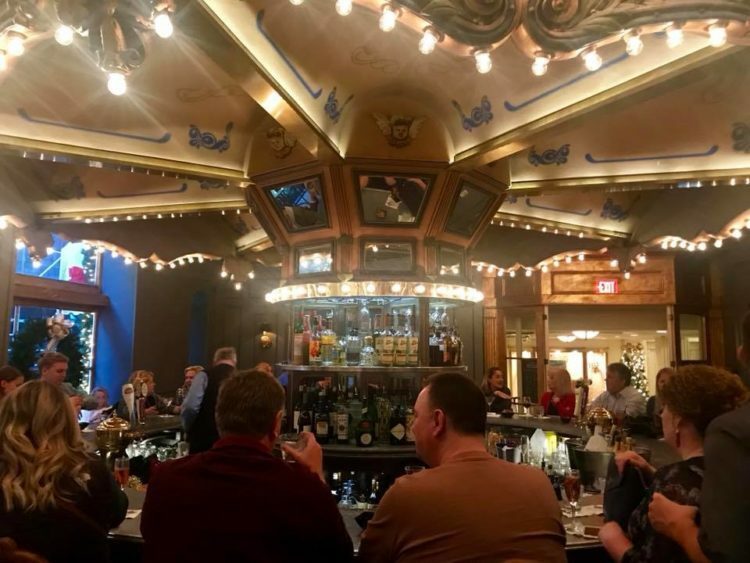 Located in the Hotel Monteleone, the bar is an authentic revolving carousel – a favorite apparently of literary Tennessee Williams and Truman Capote. Come at 11 am to actually get a seat and order up a Pimms Cup or Vieux Carre to start your day. This cool new white and sunny food hall has been reborn filled with stalls of thoughtfully curated local food and beverage talent. Elysian Seafood caught my eye with Pan Roasted Gulf Fish, Louisiana Crab Cake, Blackened Catfish and Shrimp Po’boys, and BBQ Shrimp Po’boys. 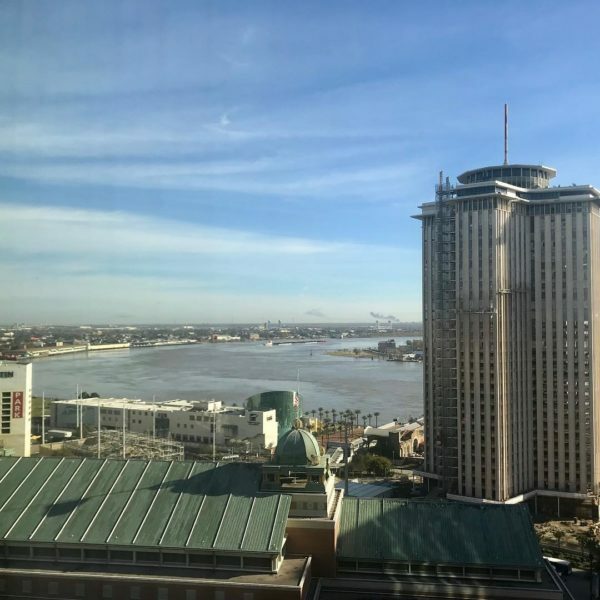 Located in the Central Business District at the edge of the Mississippi River, this four-star hotel is a short walk to the French Quarter, a short ride from the Garden District, and is across from Harrah’s Casino and numerous beloved restaurants like Mother’s. Voted Top 10 Best Hotels in Louisiana in 2018 by US News and World Report, the 22-story skyscraper offers enormous clean rooms with premium linens and luxurious comfy beds. Each day felt like a nice respite to sleep here. 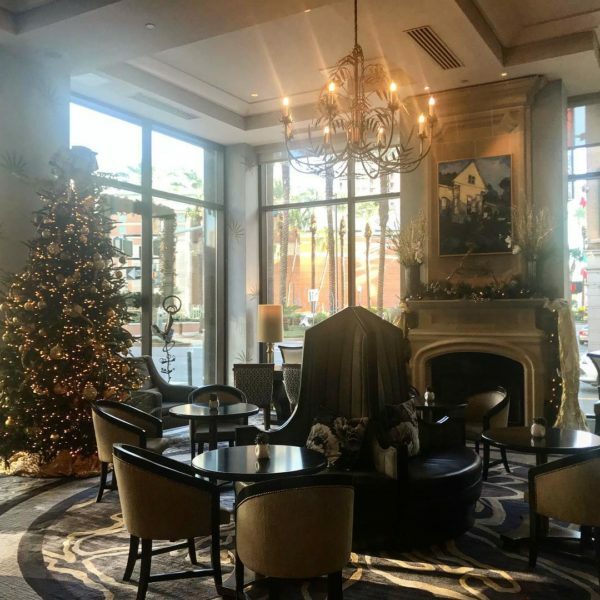 The lobby is beautifully adorned with stained glass and is especially charming during the winter holidays, with a cozy fireplace and glamorously decorated Christmas tree. The tiled bathrooms feature marble countertops with double sinks and bathtub shower combinations, perfect for a relaxing late-night bubble bath. The 8th floor offers an indoor pool, a spa tub, and a fitness center too. If you don’t feel like running out to eat, the stunning hotel Bar Peters and restaurant Poydras and Peters elevate this hotel to another level. The eclectic menu harkens to the melting pot of New Orleans, both old and new where happily I tried my first hearty Gumbo with potato salad in the middle stuffed with oysters, crab, shrimp, and andouille sausage, along with BBQ Shrimp and Grits and cherry beignets with a pipette infusion of rum.